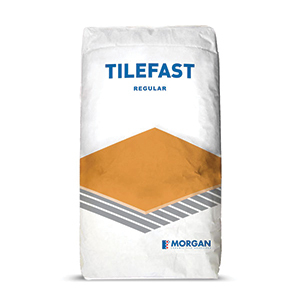 TileFast Regular is the perfect choice for your tile bonding needs. A tile adhesive, it consists of a mixture of fine graded sands, special additives, and cement in an off-white finish. 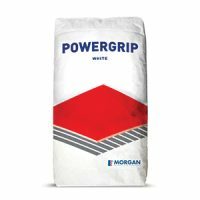 It is suitable for bonding wall and floor tiles in interior and exterior applications, with tile joints varying between 3-6mm in width. 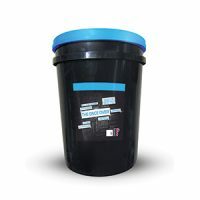 TileFast Regular is available in a standard 20kg bag. This tile adhesive is very flexible, easy to use and offers a high bonding strength. Mix with water to easily form a quality trowel adhesive. TileFast Regular is suitable for use on natural stone and bicottura tiles on cement rendered substrates. However, it is unsuitable for bonding marble, fully vitrified and monocottura tiles, MDF board, timber and substrates that are immersed in water. It is guaranteed to offer high performance and meet the AS 3958 standard up to 10 years. For high-performance tile adhesives in Perth, look no further than TileFast Regular available at Ross’s Discount Home Centre. Buy this quality tile adhesive at a crazy low price from our online store today!